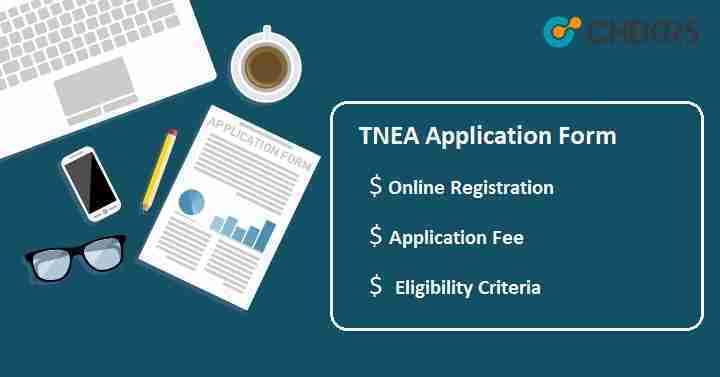 TNEA 2019 Application Form: Tamil Nadu Engineering Admission (TNEA) is an admission process organized by Anna University. TNEA is a state-level counselling process providing admission to approx 1.5 lakh engineering students. Candidates have to register to take admission in the field of engineering and to appear in the seat allotment procedure. No entrance exam will be conducted by the university. The admission will be done on the basis of marks scored by the candidates in the qualifying examination. TNEA Application form will be available from 1st week of May and will last up to June. It will be available online. Here we have provided all information related to TNEA admission procedure for the academic session 2019-2020. Candidates can check the expected dates of TNEA Admission Process 2019 here. Candidates who belong to Tamil Nadu state can apply for TNEA Registration form. 10 + 2 pass candidates from other states can also apply but they will have to attach Nativity certificate. Children of Central Government Employees and All India Service Tamil Nadu cadre officers will be eligible for TNEA 2019. Candidates applying for Marine engineering branch must score at least 60% in PCM. Minimum of 50% marks is required in English in 10th or 12th. Note: Click here to know more about TNEA Eligibility Criteria. Visit the official website of TNEA 2019 i.e., tnea.ac.in. Click on the link for TNEA Registration. Fill the all details asked in the registration form. Submit the form by clicking on “Register” button. User Id will be created after clicking on “OK” button. Login into the account with generated user id & password after completion of registration form. Enter other details required for counselling like personal, academic, other important details and click on “OK” button. After this, pay the application fee. Click on “Confirm” button for final submission of the form and proceed to submit the fee. Payment will be done through online mode. Select the option given there such as net banking, credit card, and debit card. After successful transaction, message will be sent on the registered mobile no. Last step will be to take print-out of Application form for the further process as candidates have to submit the filled application form with all original documents at the time of counselling.